Authors are our rockstars. We've taken roadtrips to meet authors and planned vacations around books signings. I've been a very fortunate Wench with stunning experiences meeting authors, including some of my very favorite rockstars writers. We told you about our Wench outing to meet the absolutely fabulous Chloe Neill, and I shared my incomparable experience at the Iced Release Bash in New Orleans, then more recently at the Feverborn release. Come with me through the jump, and I'll tell you just a few of the reasons that Karen Marie Moning is pretty much as good as it gets. 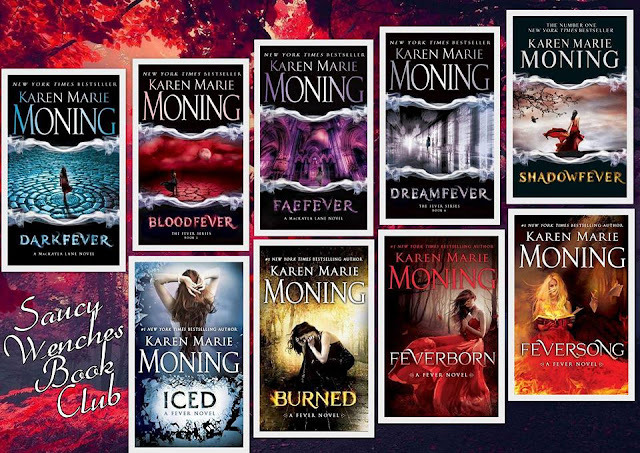 Anyone who has followed The Saucy Wenches for any length of time knows that Karen Marie Moning's Fever series is the set of books that bonded us tightly and that it is the one series that we tend to agree on. That is because the original five books are not only a stunning work of fantasy, but also an amazing love story, overflowing with memorable quotes and life lessons that continue to stun us years after they first captivated us. 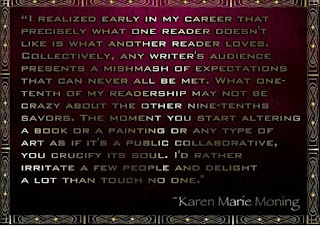 We are keenly aware that these stunning words come from the mind of the incomparable Karen Marie Moning, and we adore her for them. 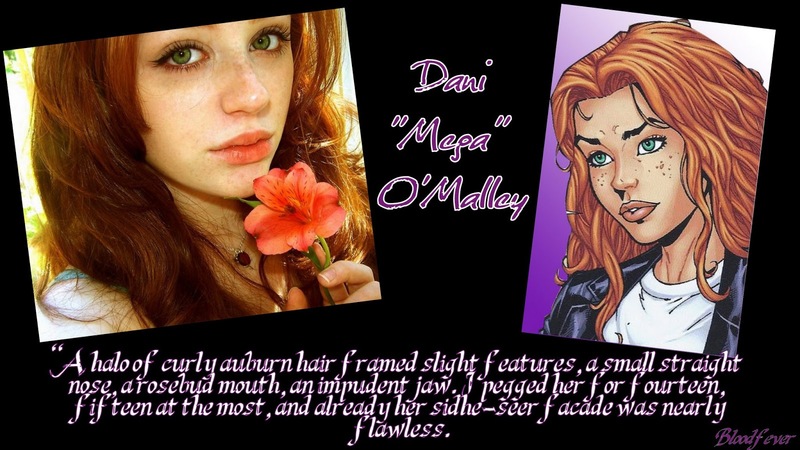 We also adore her for the fantastical tales she weaves, for the hottest of alpha men who live in her imagination, and for the strong, deep, amazing women who inspire us. However, there are plenty of amazing writers out there, so what sets KMM apart? For me it is her utter graciousness and how much she cares about her work and her fans. Having met her and spoken with her briefly, I was stunned by how absolutely lovely she was, completely focused on the fan in front of her. During my first visit, when I told her what her books meant to me, how they had brought dear friends into my life from all around the world, she got a little teary, too, saying that was the best compliment she receives. 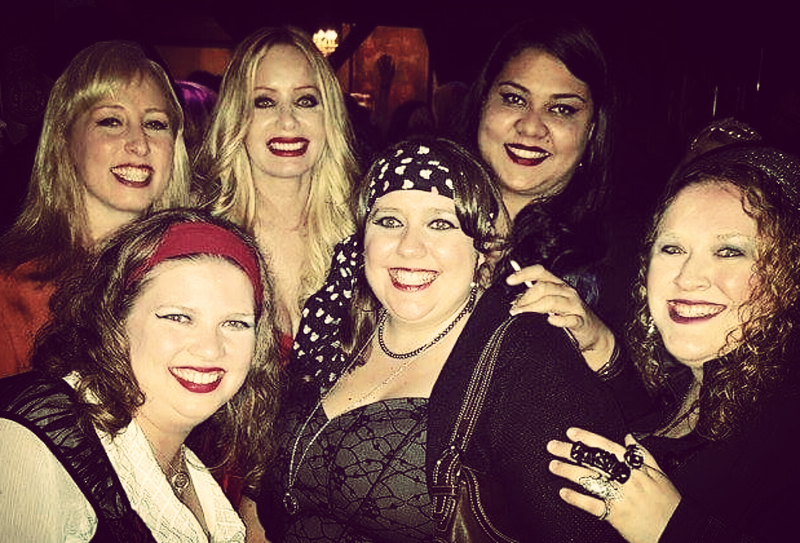 When a larger group of Wenches met her this year, we had the most wonderful moments meeting her, getting our picture taken, sharing a few words, chatting about the books. But you need to understand that listening to her speak, about books, her process, Fever events, whatever, is a singular experience. She manages to connect with each fan in the room, to make you feel like she is having an intimate chat with you, like sitting down with a friend. 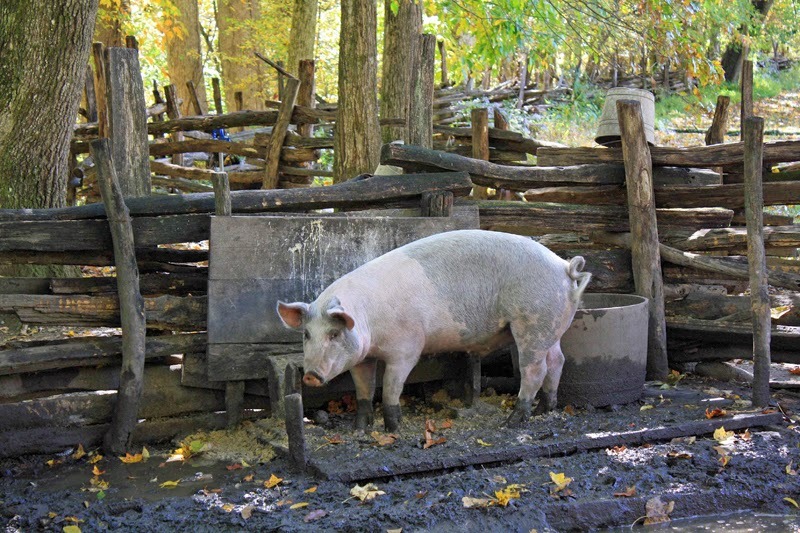 She is brilliant and funny, focused and frank, and just as delightfully foul as the rest of the Wenches. I have to mention that the very first thing she asked the crowd during her Q&A was whether we were having fun. She adores her fans and she clearly loves when we connect with each other, but it's very important to her that we are having a good time. Does that happen anywhere else, with anyone else? Amazing. There was a moment at the end where we sat, stunned by her fabulousness, Amanda awed by the feeling that she got us, that she had reached into our hearts and minds and truly got each of us. She is completely stunning in person, folks. If you ever get a chance, meet her. And thank me later. I'm awed by her openness! In addition to being fandamntastic in person, she is also amazing in her online presence, giving fans as much information and interaction as possible. It takes time to craft a world as spectacular as the one she's given us, and we understand when there is a long wait between books. But she always explains what has happened in her life, in her process, assuring us that she's giving fans the best possible story. We understand that since she's been writing the Fever series she's been through a painful divorce, lost her beloved cat, been stunned by her father's terminal cancer diagnosis, moved home to be closer to family, and lost her hero, her dad. Her post about losing her dad (which you can see here) was so simple but so perfect, perfectly capturing what it feels like to lose someone you adore. We understand that there's a human being behind the keyboard that gives us some of the best fiction of our lives, and we support her need for time and space. The Fever series has been going on for ten years now, and eight books. It's a huge success with Feverborn hitting #2 on the NYT Bestsellers list. With that kind of success inevitably comes criticism and with every reader who adores a book there will always be a fan who hated it. 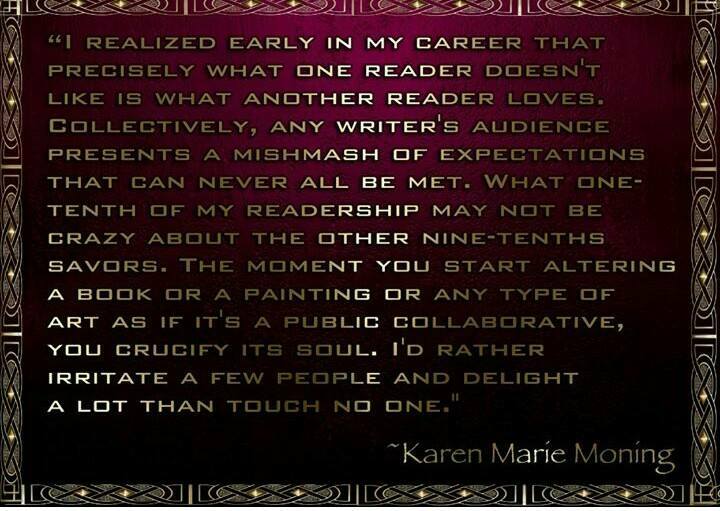 KMM understands this and she understands that she will never please everyone, so she writes to please herself and her muse. She has said this time and again and I have no reason not to believe it. So I'm not going to refute the things that people have complained about, even though I really want to. I'm just going to say that I appreciate that when fans don't love a book she does not strike back, she doesn't criticize her readers or say that we/they aren't reading it right. She accepts the criticism, accepts that not everyone will like where the story goes, and keeps following her mind and her muse. Her response to the criticisms of Burned was wonderful, pure class, and hopefully gave some readers a peace of mind. And for those who still weren't happy, I'd hope they'd move on and maybe find another series to love rather than keep insisting she give them the book they think she should. It really is her story, people. I know, Donald. She's the bee's knees. It's no coincidence that my two favorite book series are written by my two favorite authors, nor is it a surprise that the goddess who is Karen Marie Moning is one of those people. The Wenches who have met her, the Moning Maniacs who have met her will tell you the same thing: her stories are beyond compare, but when you meet her, when you spend time with her, you know that she's special. I feel like I devolve into babbling and starry eyes when I recall meeting her and chatting with her, because she really is that remarkable. Over the six weeks or so since getting back from New Orleans I've had several people ask about the trip and I can feel my gaze go dreamy, my smile go a little silly, because KMM, TeamKMM, and the whole experience are just that good. You just have to experience it to understand. Feversong2017! So glad to have met you in NOLA! You are right on - KMM is the best!